Whenever I was put in charge of watering plants, whether they hung off shepherd’s hooks on the deck or sat conspicuously on the back windowsill, they invariably turned crinkly and brown. 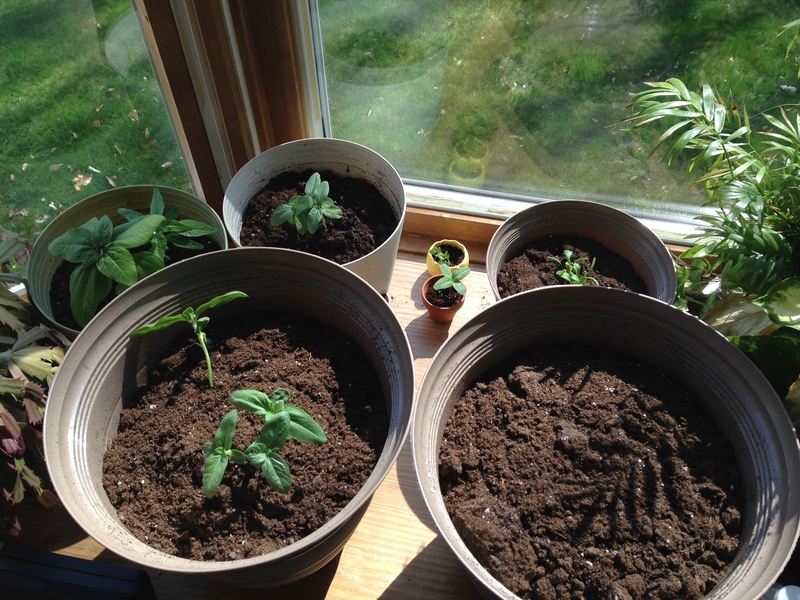 Sure I’d water them for a few days, but then the habit would disappear off my mental to-do list. So when buying three plant growing kits, I didn’t spend more than a dollar a piece. Killing them wouldn’t damage my wallet too much. I picked three different types of plants: daisies, poppies, and sunflowers. The sunflowers have thrived. Either the poppies or daisies (I don’t remember which) drowned from over-watering in their little tiny pots. Whichever one I didn’t kill is growing slowly but surely. That moderate success encouraged me to pick up a few more dollar growing kits along with potting soil to replant the sunflowers in bigger pots. I’ve since replanted almost all of the plants in bigger pots, killed three more, and decided to try my hand at growing packaged seeds in a big planter. One of the sunflowers will probably bloom in the next week or so. And I haven’t forgotten to water them too much; that’s a win in my book. Eventually spring will decide to show its face in Massachusetts, and my little garden will be moved outside to the front step. Remembering to water them there will be a bit more of a challenge. But until then, I’ll be enjoying my mostly green thumb. For me, it’s easier to remember to water my plants when they’re right in my face (like on a window sill, computer desk, or kitchen). 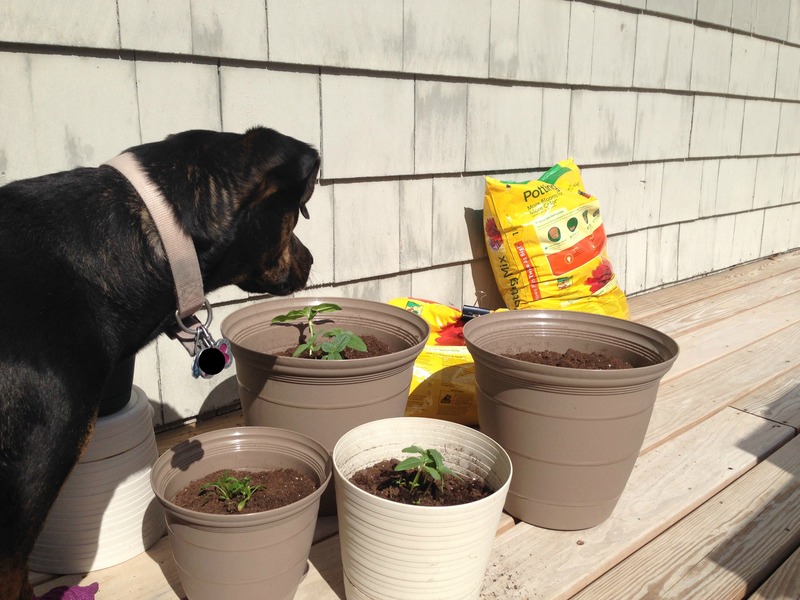 However, I did plant four tomato plants in my backyard that actually survived (woot!). I used them a lot for cooking so I never forgot to water the garden (lucky them). I’d swear that homegrown tomatoes taste the best (though I’ve never had much luck keeping the bugs away). Thank you, and good luck with your plants!